The concerned other is desperate for change in the user, but often ends up feeling helpless and frustrated - let down by his or her own inability to help and by a lack of professional support. Professional helpers, on the other hand, may find that their training, geared to the individualistic theories that requires the user to make change, find they are unable to employ effectively the concerned other and his or her willingness to help. 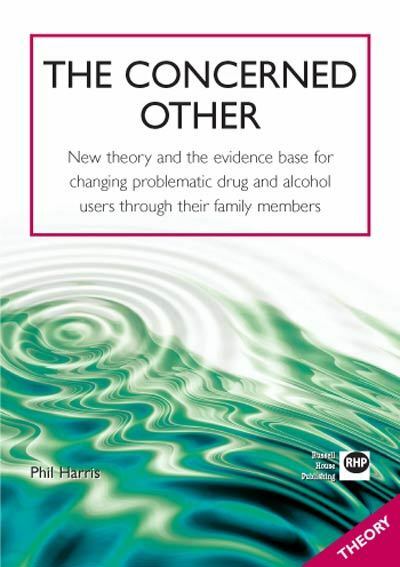 In this book Phil Harris sees the concerned other as the person most to effect change in the user's life. 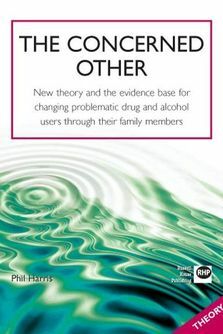 He presents a thoroughly researched and carefully argues theoretical underpinning of his work, and offers practitioners a clear and comprehensive, intervention-based programme to help the concerned other bring the change that he or she most wants to see. This book will help practitioners support the concerned others in effecting change in the user, and will increase the provision of high quality and effective services they can offer to those who suffer intolerably from those that they also love the most. The 68 pages of copiable material to be found in this manual are also available as a FREE PDF to customers who subsequently register their purchase with RHP. The guidance and materials in this manual are designed primarily for work with individual concerned others. But the author has included suggestions on how it can be adapted for work with groups. His work with groups is currently being developed further, and he and RHP may be able to make the results of this work available in the future.